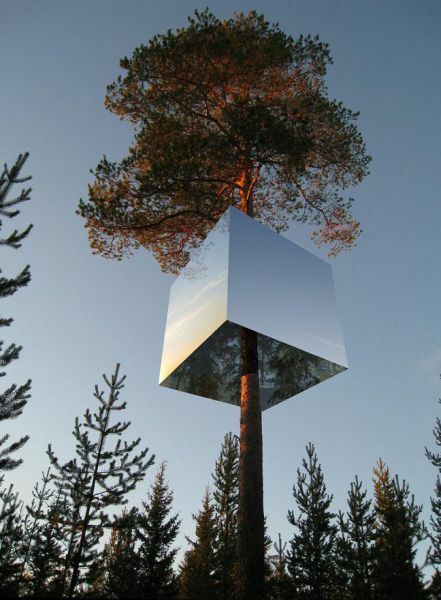 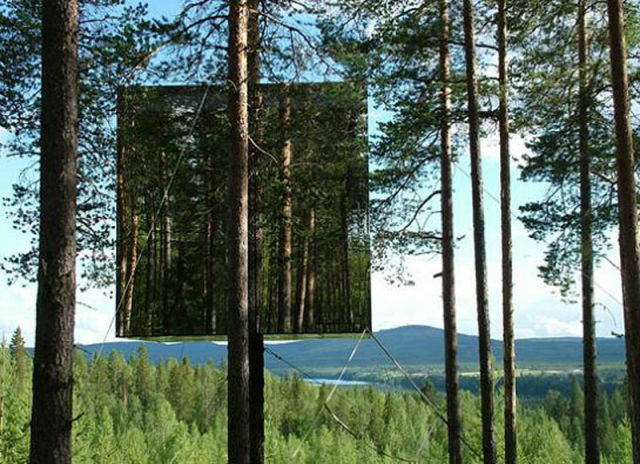 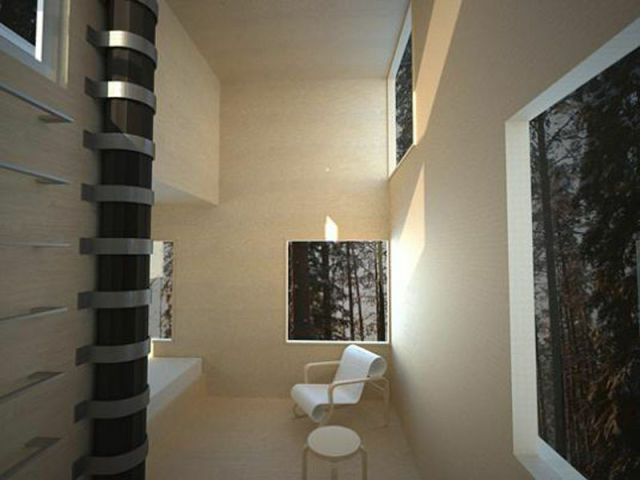 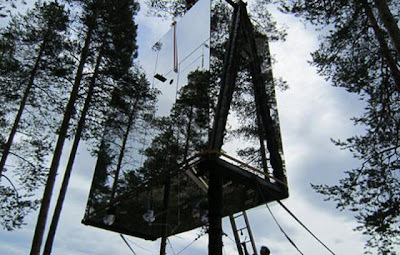 Talk about blending in with nature, the Mirror Cube Tree Hotel in Sweden certainly does! 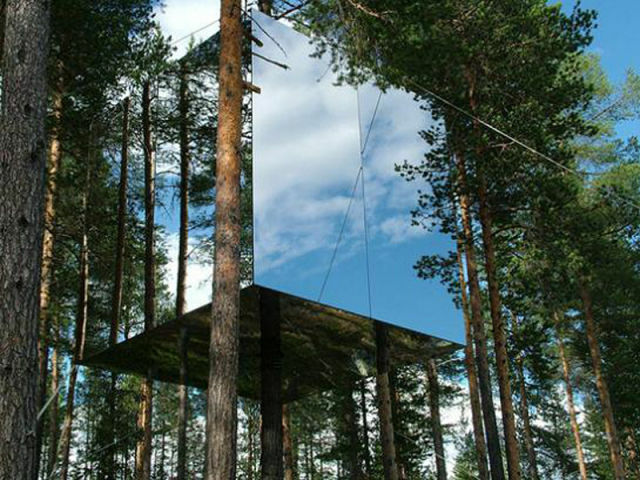 This hotel is literally a “tree house” that is completely covered in mirror so it can reflect its surroundings. 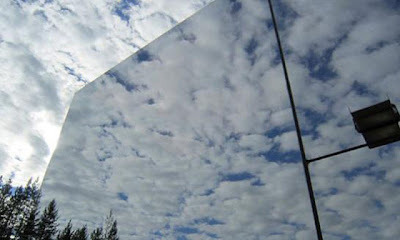 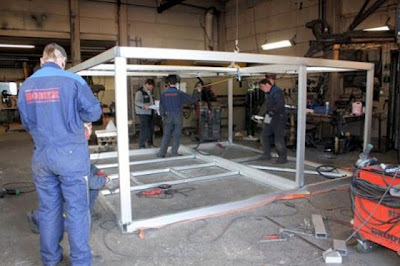 It’s a 4m by 4m by 4m aluminium cube covered in mirrored glass hung round a tree trunk. 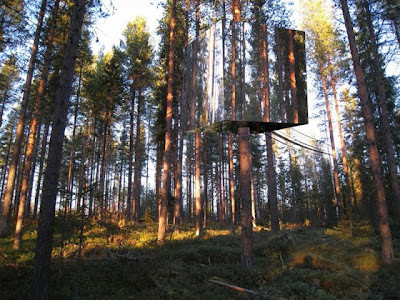 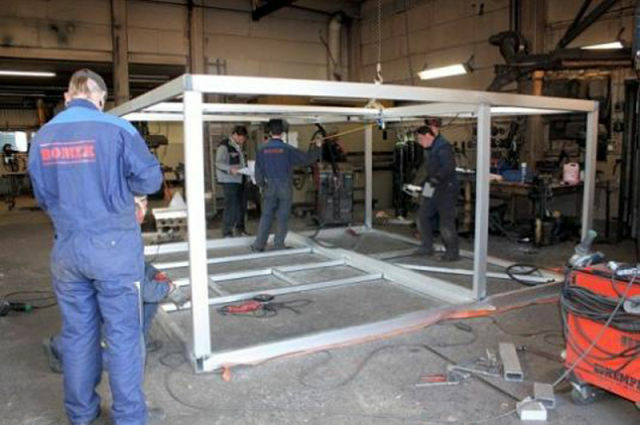 Once it’s in place, it simply disappears into the forest. 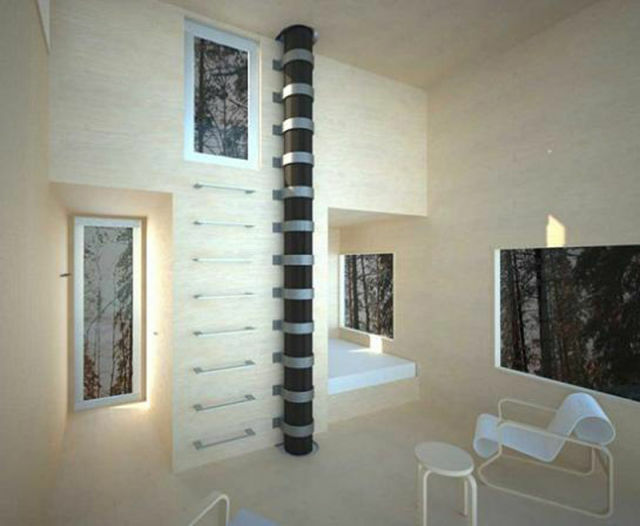 The panoramic views from the windows must be absolutely stunning. 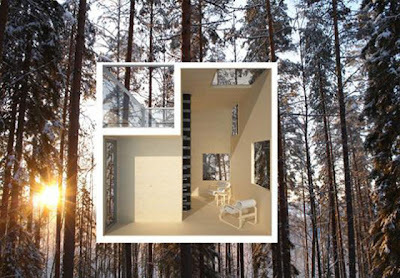 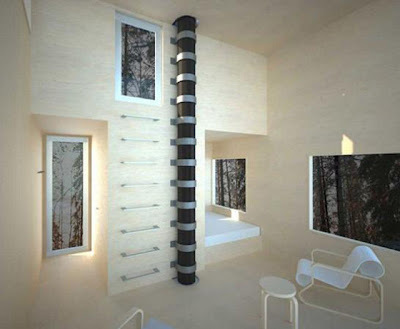 Designed by Tham & Videgård Arkitekter, the cube is a treehouse for two people, with room for a kitchenette, bathroom, bedroom and roof terrace. None of the pictures show how you actually get into the cube but rope ladders and bridges are mentioned in the blurb.